The town of Wailea is located on Maui's southwestern coast, known as a beach resort with spectacular beaches and luxury resort hotels. Wailea itself is relatively small, with a population under 6,000, but it's home to no less than five resort hotels – including two huge luxury properties. There are a number of really excellent beaches, such as Ulua Beach, Polo Beach and Wailea Beach, and there are three golf courses that make Wailea a popular draw for golfing vacations, too. Even if you're not staying in one of the fancy beachfront hotels, you can still enjoy Wailea's gorgeous scenery. Put on your walking shoes and head for the coastal nature trail that winds along the water. It's paved, so it's easy going, and it'll give you an up-close look at an abundance of unique Hawaiian plants. In the morning, the trail is full of joggers, and in the evening, it's an ideal spot to watch the sunset. 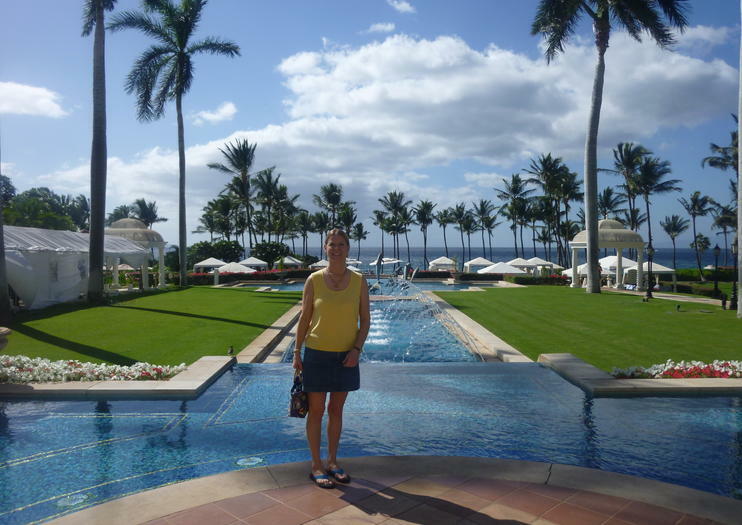 Wailea is about 16 miles from Maui's main airport in Kahului and 28 miles from Lahaina. If you're visiting in the winter months, keep your eye on the water as you're walking the coastal trail – it's a pretty good spot for whale-watching. Leave the tourist crowds behind and explore the waters off the coast of Wailea during a personalized stand-up paddleboard (SUP) and snorkeling tour at Polo Beach. After a brief SUP lesson, paddle along the shoreline and out to the reef. Slip on your provided snorkeling gear and go in search of sea turtles and other marine life. This private tour is ideal for families with kids, and can be customized to any skill level. Flytographer 120 Minute Vacation PhotoshootConnect with a local professional photographer in Maui and capture your most memorable moments during this private photoshoot. Get insider tips on the best things to do in Maui, including where to eat and what to see from your vacation photographer. Return from your trip with beautiful, high-quality, vacation photos.The best souvenir ever. Flytographer 90 Minute Vacation PhotoshootConnect with a local professional photographer in Maui and capture your most memorable moments during this private photoshoot. Get insider tips on the best things to do in Maui, including where to eat and what to see from your vacation photographer. Return from your trip with beautiful, high-quality, vacation photos.The best souvenir ever.